Please check the Raid Schedule to see what has been going on lately! We are transitioning the website! The forums are going to be locked this evening. Accounts should have been moved over seamlessly so once the redirect is setup, you should be able to log straight into the new site, just like here (same login names, same passwords). The forums permissions *should* all be setup correctly, but as expected with these things, there's always a learning curve. The snapshot for our forums occurred 2 nights ago, so posts from today and yesterday (Mon-Tue, Sept 29-30) have been lost. We could have taken a new snapshot after locking down the forums, but there was about 4hrs of manual work required to massage everything for the import script. edit: This site's forums have been locked (except for the top level Public forums, just in case you feel you need to post a question or something here). Please go there and feel free to make new posts and try things out. There's a new forum group called "e107Guild.com" which is specifically about the new site. Please go there to post your questions and find answers about the new site's functionality! FATHOM-LORD KARATHRESS HAS BEEN PINGED!!!! Welcome to the homepage for The Fellowship of the Ping! 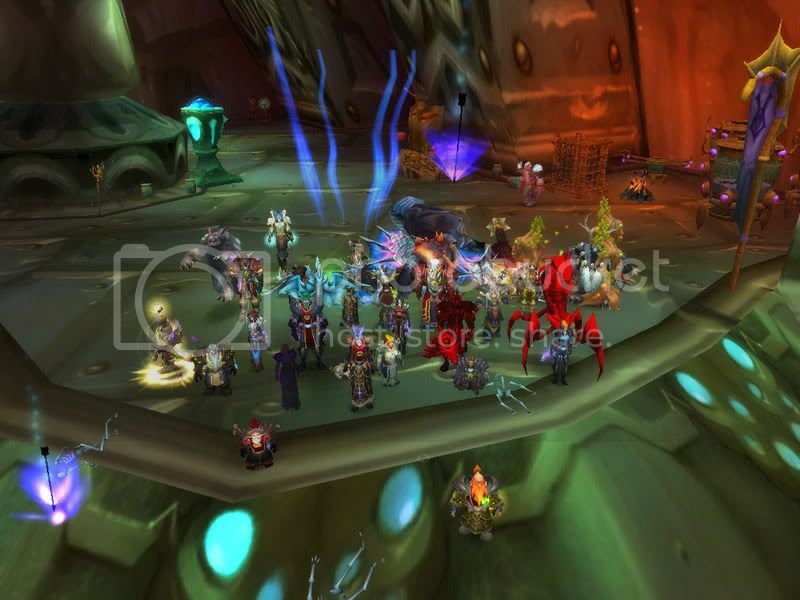 -We are a World of Warcraft guild located on the Garona PvE server. Guildies click here for Ventrillo info!